We're not your typical wedding fair. We're not about throw-away, disposable weddings. We want to show you how you can share the love, give back and make a difference! 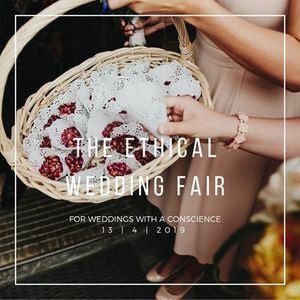 The Ethical Wedding Fair will help you design a wedding that is socially and environmentally conscious, that supports small, local businesses and social enterprises that do good for both people and planet. Your FREE ticket gives you entry to the historic venue and grounds of Blakesely Hall so you can wander, dream and discover a unique Birmingham wedding venue. In the wedding gallery you'll find a diverse selection of ethical, eco and social enterprise suppliers hand-picked for this intimate, ethical wedding fair. Throughout the day there’ll be interesting talks, interactive sessions and demos on all things ethical, social enterprise and alternative. Find out how you can create 'good' wedding gift lists, reduce wedding waste, support causes and buy from suppliers who care. Children are very welcome to join in the fun with upcycling kids craft to occupy little minds. What's more, the first 20 guests will each receive a glass of fizz on us (non-alcoholic drinks also available, of course!). There's some really great goodies to be won for pre-booked ticket-holders in the prize draw too, all from local social enterprises and ethical businesses. There's limited parking on site. 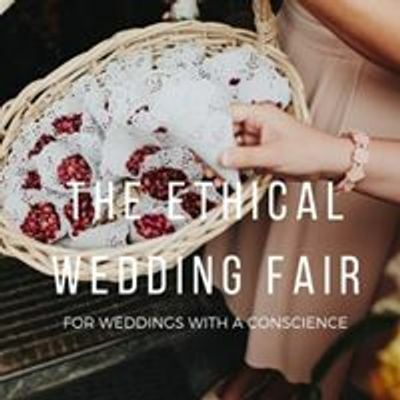 The Ethical Wedding Fair is brought to you by ChangeKitchen CIC, a vegetarian and vegan catering social enterprise and iSE CIC, a social enterprise development organisation, in partnership with Blakesley Hall, part of the Birmingham Museums Trust. THIS EVENT IS PART OF CITYDRIVE 2019, A WEEK-LONG CELEBRATION OF SOCIAL ENTERPRISE IN THE CITY OF BIRMINGHAM. FIND OUT MORE ABOUT OUR OTHER EVENTS TAKING PLACE 8-13 APRIL.